A quick glance at your repo of rayshud shows its been 2 years since its been last updated. From there, go to scripts/hudlayout.res and find your old crosshairs, "ThinCross" and "BasicDot" (it looks like these are the only two enabled on your old repo). Change both of these visible and enabled to 1. You added some comments on BasicDot so it seems you were messing with the xpos, ypos, wide, and tall positioning at some point, so adjust accordingly. NokkFrom there, go to scripts/hudlayout.res and find your old crosshairs, "ThinCross" and "BasicDot" (it looks like these are the only two enabled on your old repo). is rayshud min mode updated ? rayshud has been updated to the latest version (2018.03.30). 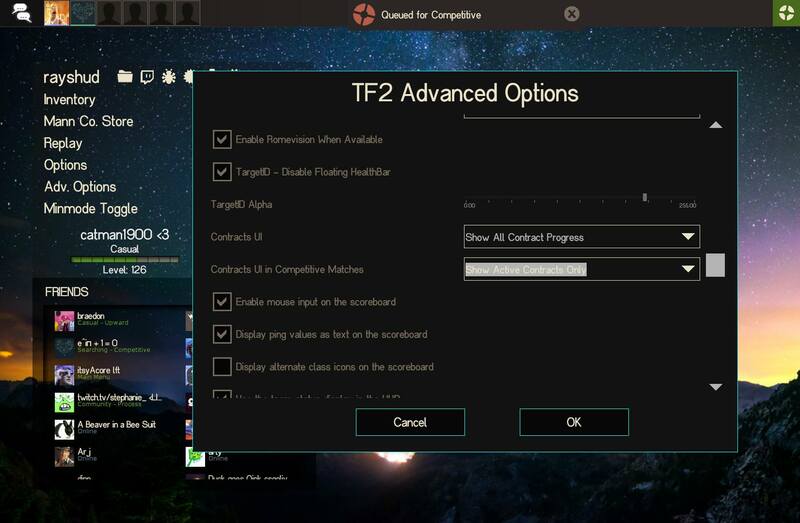 You can download it from GitHub or huds.tf. [b]rayshud [/b]has been updated to the latest version (2018.03.30). You can download it from [url=https://github.com/raysfire/rayshud]GitHub[/url] or [url=https://huds.tf/forum/showthread.php?tid=377]huds.tf[/url]. CriticalFlawrayshud has been updated to the latest version (2018.03.30). You can download it from GitHub or huds.tf. Cheers for update, new version is still crashing when I click the "find game" button though. [quote=CriticalFlaw][b]rayshud [/b]has been updated to the latest version (2018.03.30). You can download it from [url=https://github.com/raysfire/rayshud]GitHub[/url] or [url=https://huds.tf/forum/showthread.php?tid=377]huds.tf[/url]. SenotsCheers for update, new version is still crashing when I click the "find game" button though. Try doing a clean install of rayshud, you might have something else in your custom folder that's causing the crash. Had this version tested, haven't had it crash at Find Game. 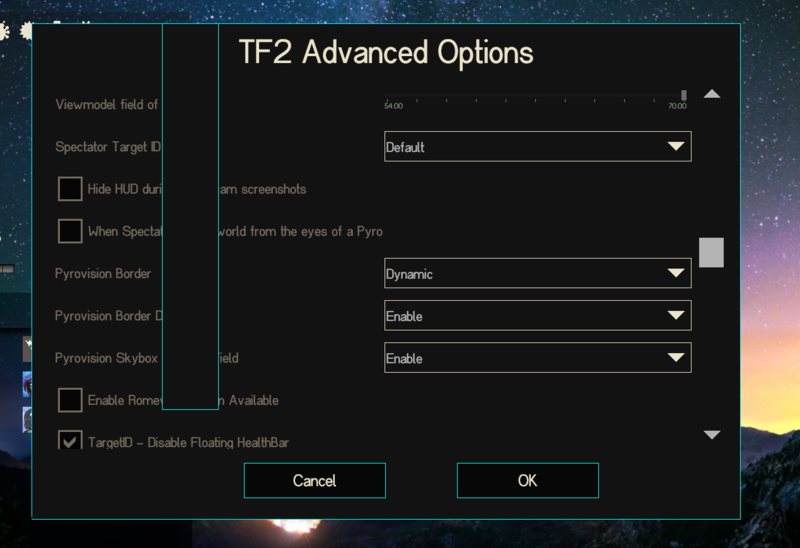 Also hovering over advanced options should give a little blurp explaining that option, upon testing briefly this seems to occur when changing any of the drop down options in advanced options.